Silk Weave Furnishing: a leading Silk Fabrics company in Dubai is conducting latest walk in interview at Dubai tomorrow for hiring B2B sales executives for Dubai. Its a direct recruitment by the company. About Silk Weave Furnishing Dubai: Silk Weave is known for its wide range of fabrics that includes Silk fabrics (Jacquard and Silk embroidery), Silk blends and Polyester/ Cotton/ Acrylic / Viscose blends. All silks come from India where there is a centuries old tradition of cultivation and production of silk yarn and silk weaving. With millions of meters of fabric in stock at any time Silk Weave is able to offer a wide selection of products to suite all tastes across the residential and hotel sections. Core Skills : Negotiation, Presentation, Client Relationship, Sales Planning, etc. How to apply for latest B2B ales executive jobs in Dubai. 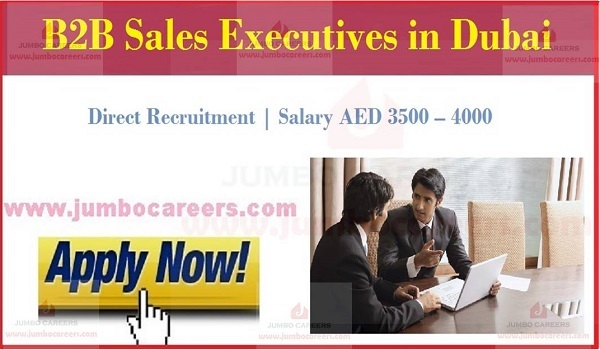 Latest Walk In Interview for Sales Executives in Dubai today- Attend Interview today at Dubai.. Location : Silk Weave Furnishing LLC, Exchange Tower, Business Bay, Dubai.